I have to say that it awkward to share my thought that I like the new design of Bing app on Android. But unfortunately enough in Microsoft usual style I find it incompatible with my Samsung galaxy S3 because of region. Well done Microsoft! On 5th December, Microsoft reveals it redesigned Bing app for Android platform of Google Play Store. The latest version now comes with a redesigned UI along with a host of new features. 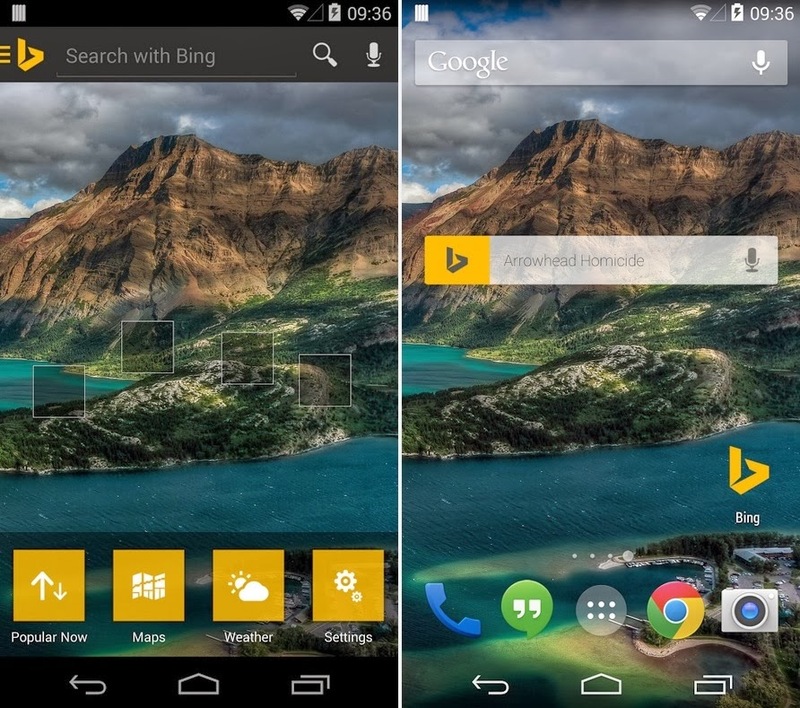 It has the ability to set daily Bing images as your Android wallpaper to make your smartphone look a lot cooler. Bing for Android now lets you add widgets to your home screen, share web pages with your social network, save your favorite search results and web pages as screenshots and you can also sync your bookmarks and screenshots with SkyDrive. The pinch to zoom in and zoom out feature that was not functioning as expected while browsing through the web pages has been fixed. The update also kills a lot of crash bugs and the app is a lot smoother now. I suggest you should try the app for your mobile ASAP. You can do it by clicking this link now.